When you're on the trail for the day, two of the last things you want to worry about are having enough space to pack what you need and having to find a place to refill your dihydrogen monoxide stock. Available through Amazon here , this was another Woot! purchase for me. I picked this bag out because I was looking for a larger reservoir after having to stop too frequently to refill my much smaller CamelBak pouch when adventuring. The bag itself is rated at 14 Liters and can hold a 2 Liter water reservoir. It's not overly large at 18.25"x 9.25"x 7" and weighs in at just under 2 pounds without the bladder. One of the many great features of this pack is the pockets on both sides of the waistband, shown above. The pockets are large enough to hold an energy bar or other small items, and the padding on the inside of the waistband is thick enough to keep what you have stored from poking you too much. In addition to the waistband there is also a chest strap to keep your load from shifting around. I am a fan of the High Sierra reservoir design; the top opens all of the way for easy filling and cleaning. And this model comes with a tube insulator, which I have found makes a huge difference, that keeps you from having to suffer through a full tube's worth of sun-heated water. 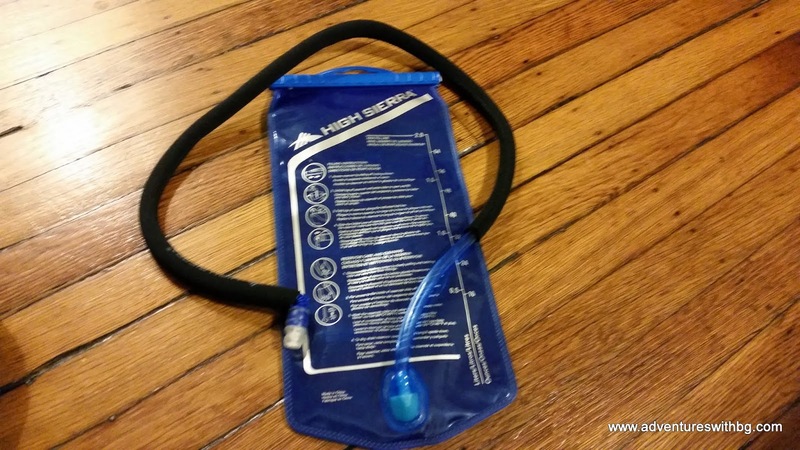 Another fantastic feature of this pack is the multiple methods to hang your reservoir. 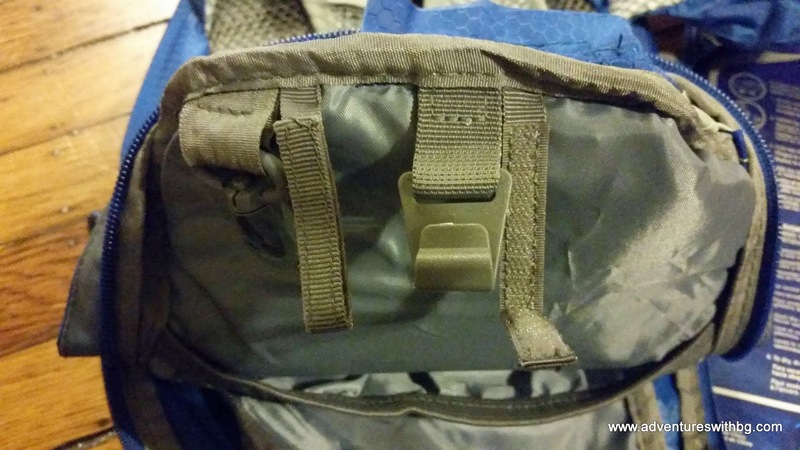 It includes a hook, carabiner, and two hook-and-loop methods to secure your water pouch making it compatible with another brand of water reservoir if you are so inclined. This pack is so chock full of features, I don't even know what this slot is for... let me know in the comments. I've just been using it to hold my writing pens while I ride. 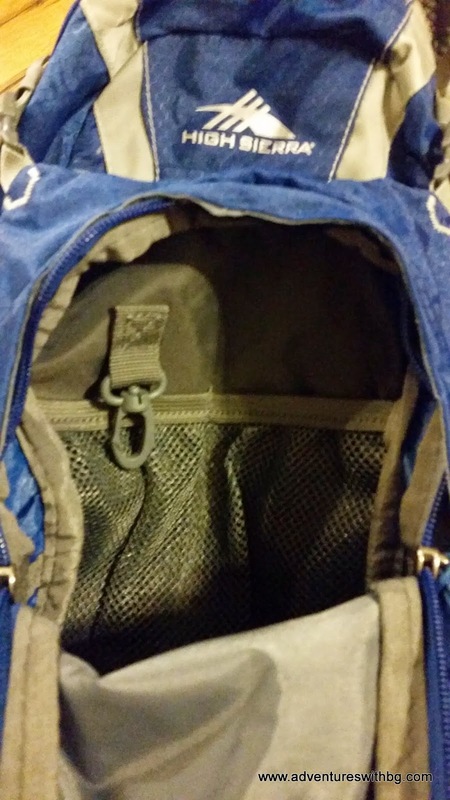 In addition to the nicely sized main compartment there is a front pocket that fits most, if not all, of your everyday-carry accessories easily. And the lanyard hook makes it easy to get to your keys in a hurry. 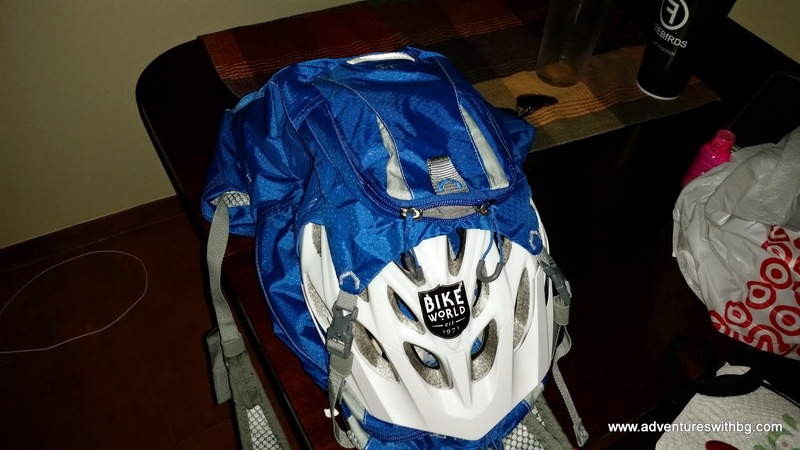 While I plan to use this pack plenty on short hikes, it is clear that it was made with biking in mind. The above pictured leather strap is perfectly placed to clip on a red flasher for riding at night. 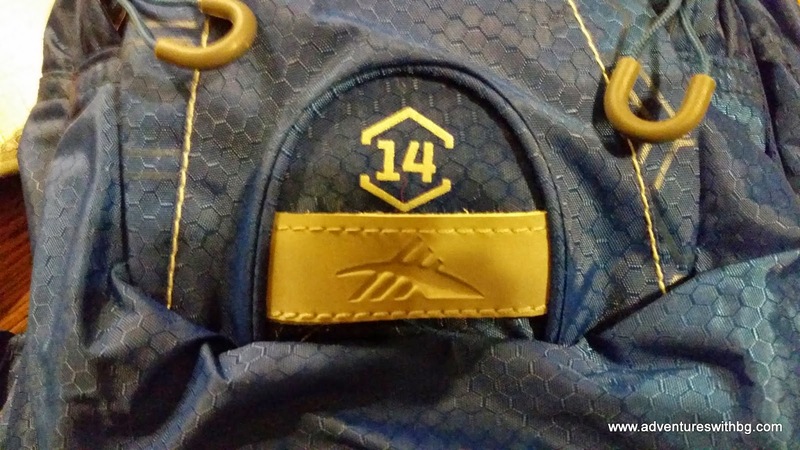 The most attractive feature by far about this bag to me was that it is designed to hold a standard sized helmet without losing any of its functionality as a backpack and hydration pack. The helmet is held steady in place by adjustable clips, and the compartment can be compressed when not in use. Pros- Bike friendly with a large hydration bladder and a place to stow your helmet when it's not on your head. Cons- I'll report back as soon as I come across any. If you find yourself looking for a bike friendly adventure bag, you'll be hard pressed to find better than the Wahoo. Its many features and smaller size make it the perfect companion for day hikes and bikes combined. The 2 Liter hydration bladder provides enough water to keep you going through the warmest of those South Texas days and the added feature of having a place to put your helmet instead of leaving it with your bike makes it all the better. Do you have a favorite adventure bag? Let us know in the comments. Like our Blog? Then like us on Facebook! Dustin, your review is very helpful in saving the newbie a great expense with the newbie trial and error in selecting the best equipment. 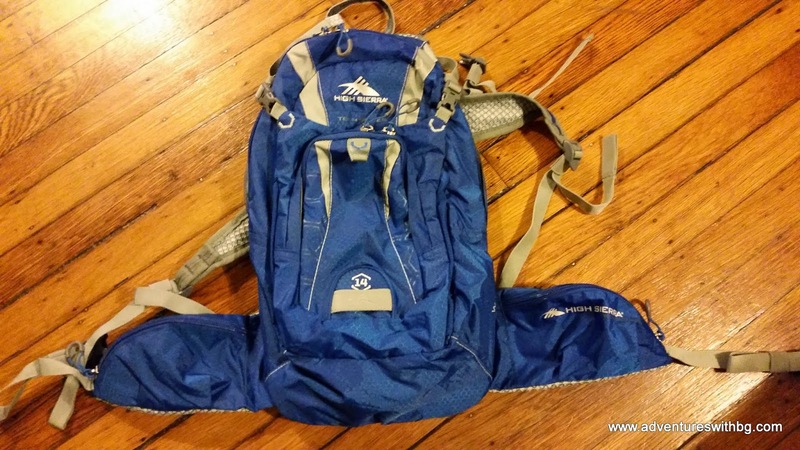 My go to bag for day hikes and mountain biking has been the Camelbak Blowfish. 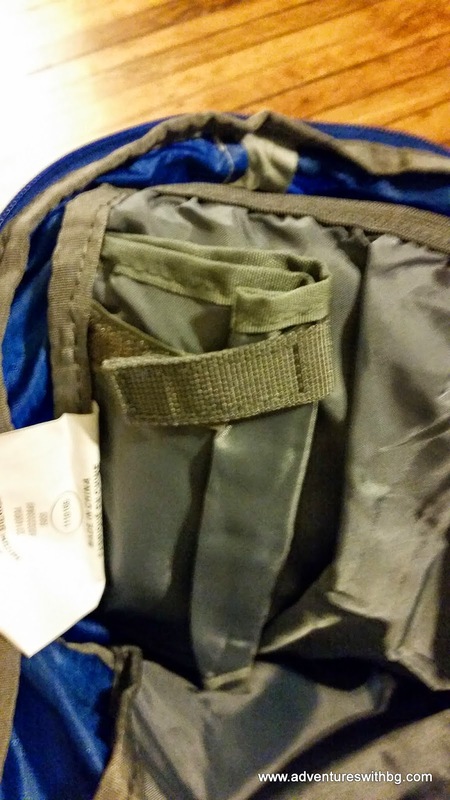 The cool feature, it has a zipper that expands the pack so more goodies can be packed.